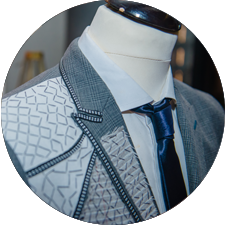 Knights & Lords – the house of highly distinctive Bespoke Tailors in Dubai- was born out of the passion of two Bespoke Tailors, Pawan & Ashish who engineer enlightenment through the ancient alchemy of craftsmanship and bespoke tradition aimed at re-desinging the wearer’s inner architecture. 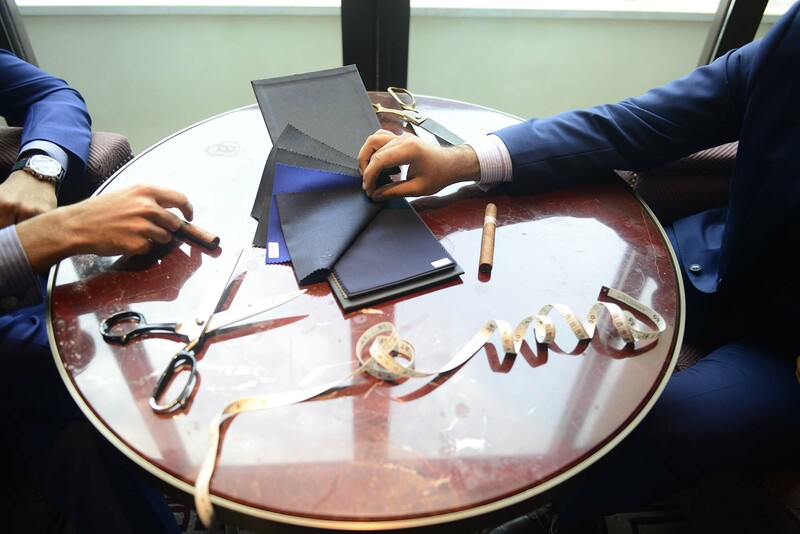 They spent 5 & 7 years respectively learning the traditional craft of Bespoke tailoring from Savile Row-London, a place that is considered to be the spiritual home of Bespoke Tailors even today. 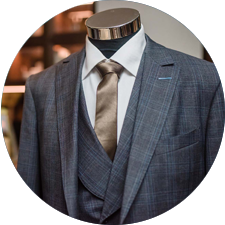 Bespoke is a term that was coined by Henry Poole in Savile Row-London. Bespoke is used to describe an item that is commissioned for someone who has complete control over every small detail of that item right from the way it is crafted to its finest details. 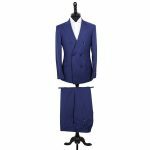 Over the years, the term has become synonymous with not only the best suit tailors in London but every tailoring shop around the world offering custom-made garments with superior craftsmanship and perfection. However, this is knowledge that is not common amongst the good tailors in Dubai. 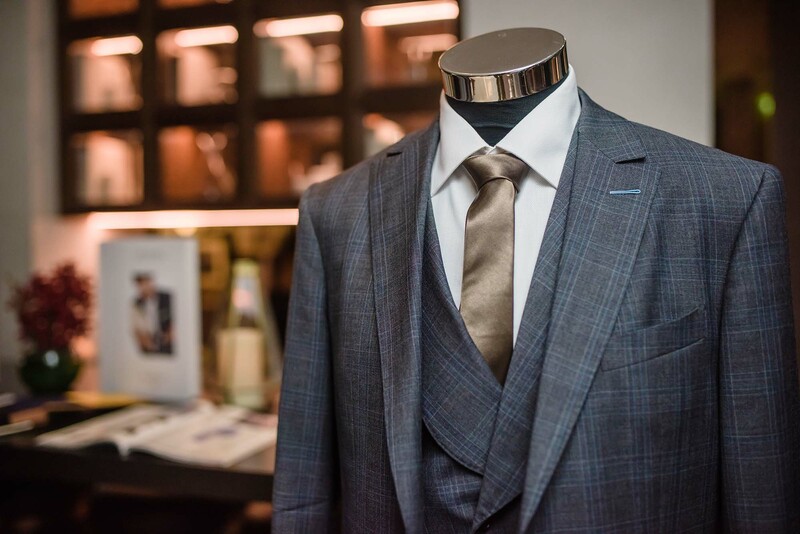 Even some of the best suit tailors do not know that its essence lies in Savile Row – London, the holy grail of customised suits and specialised tailoring, home of some of the best tailored suits, tuxedo suits, and wedding suits for men. Knights & Lords was formed in 2010 to remind todays decision makers of the importance of having Gentlemanly attributes and preserving the traditions left behind by the nobles of the yesteryear. It is for those who wish to preserve the supreme culture of being a true Gentleman who alongside doing justice to his true life purpose also considers his duty and responsibility to dress like who he wants to be. 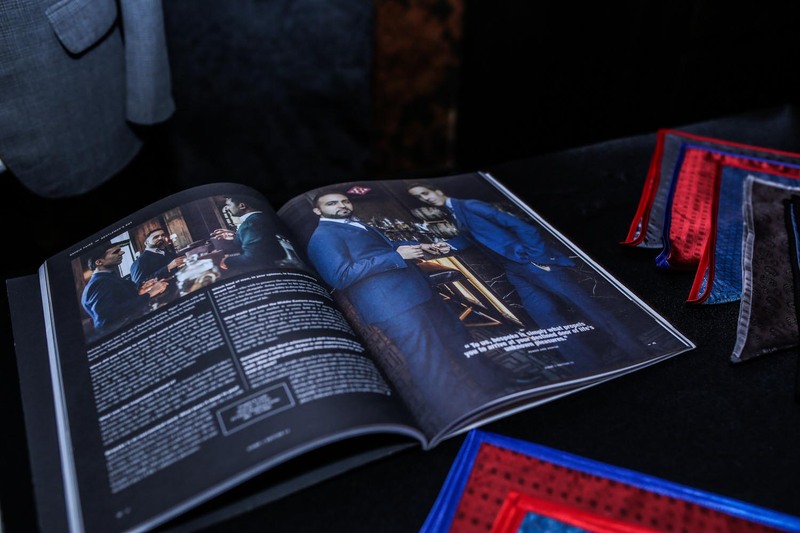 Pawan & Ashish strive to open people’s sesibilities to The Eye of Bespoke by writing in various publications such as the Debonair about the craft of Bespoke Tailoring. They have also been featured in The Rake, Signe, Esquire and Friday magazine amongst others as Bespoke tailors who are true to their craft. 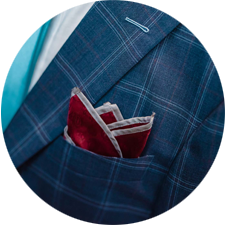 They wish to bring a wave in The New Bespoke Movement by making sure a Bespoke Suit is something that can be enjoyed by anyone and everyone and not something that is out of reach for the masses. Knights & Lords have carefully guarded the craft of creating tailor made suits, learned from Savile Row where the craft was born and passed on through generations. 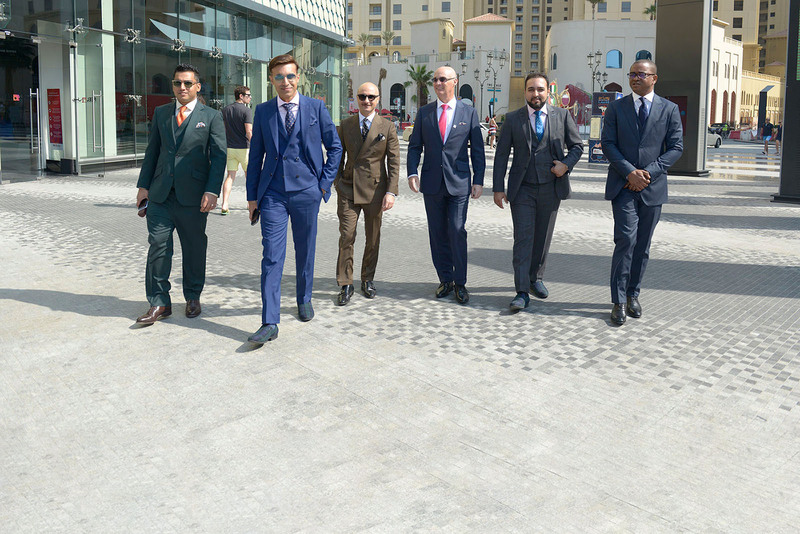 As genuine bespoke tailors in Dubai Marina, it is the responsibility of Knights & Lords to educate people that not everything that is “custom-made” can be called bespoke which needs to be understood by people looking for the best tailored suits in Dubai. 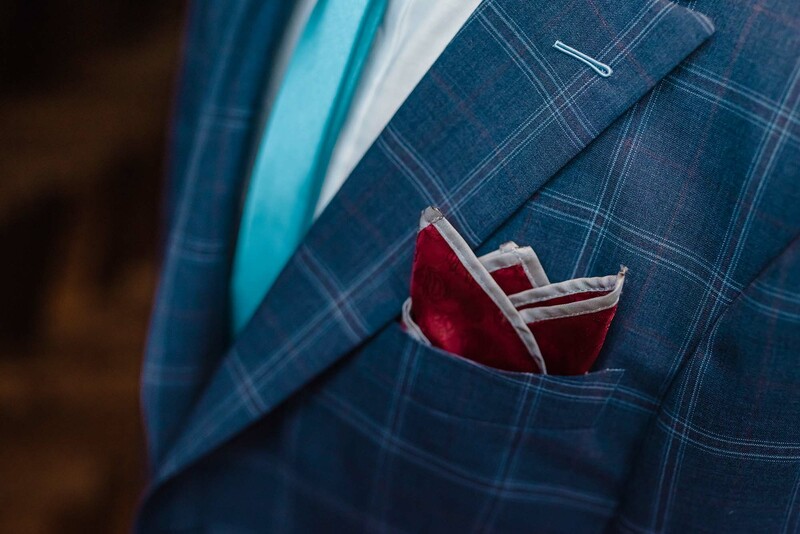 Elevating personality with handcrafted quality bespoke tailored suits for people to express their inner quiet confidence. Explore the experience of commissioning bespoke tailored shirts with our personalised services. Embark on a journey to create your bespoke blazer that exudes effortless style with elegance. 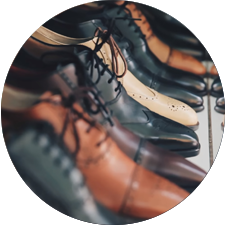 Experience the comfort of wearing quality handmade shoes in a style of your preference with chosen leathers. Thank you for your kindness and sartorial insight. It has been a great pleasure being fitted for what looks to be an amazing suit! Although I have never been fitted for a suit before, the absolute Gents at K & L were just so comfortable and professional that I felt genuine pride at what was being done. My experience has been great and I will recommend anyone to get a Bespoke jacket or suit made. Thank You so much. I never had a jacket so awesome! A suit is not made here, it’s crafted. Thank you Ashish & Pawan for not just the perfect wedding suit, but also the priceless insights into the art of bespoke suits. The attention to detail and craftsmanship skill is unlike any other and I’m really very happy I got my suit from K & L and not anywhere else. No hesitation is recommending their services to others. The service is excellent, the choices of fabrics, buttons , linings, etc., are massive & the end result is exquisite. Many thanks for the whole experience. What a wonderful experience from start to finish! What a wonderful experience from start to finish! A tailor made suit was always a long term aspiration of mine and one which had remained a little elusive- Having found Knights & Lords almost by accident in 2015 my dream/aspiration took on a much more real & definitive goal. The warm & professional service & guidance from our first meeting was all the encouragement I needed to make the dream a reality. I now have my distinct and ever so personal tailor-made suit & it feels wonderful. I will definitely return & look forward to building a strong relationship with the craftsmen who are re-kindling the Art of Tailoring! I will wear my suit with pride and a quiet confidence, inspired by the talents of Knights & Lords! Thank you. Hi Guys, Just want to thank you for a great experience-and of course an amazing suit. The fit and fabric are spot on, and I was impressed by how close it was to perfection just by the first fitting, Your experience and training shows in the finished product. Thanks again from myself Jeremy and Esquire. Nothing compares to the experience, from start to finish you are incubated in excellent service. The end results are always impeccable, time and time again. For a gentleman who is considering taking his appearance to the next level, Knights & Lords should not be overlooked. I’m honored to be wearing your suit. What a pleasure to watch you guys work. To go over every detail and make sure everything is perfect. Thank you for sharing your amazing art with me. I’m honored to be wearing your suit. See you guys in Puerto Rico! Luis Fonsi - Singer of the all time hit song "Despacito"
This was truly a beautiful experience! This was truly a beautiful experience. What class and knowledge and passion you guys have -and it shows in the product! I cannot believe you made this incredible suit in less than 6 weeks! Thank you so much I feel like James Bond! Thank you for the spectacular suit! Kelis - Singer of the all time hit song "Milkshake"